“TOMATO” Saturday Supper features local Chef Jensen Lorenzen of the Cass House, Chef’s Daniel Mattern & Roxana Jullapat from LA’s Cook’s County all together at Windrose Farm. Don’t miss this unique opportunity to experience these Chef’s collaborating and presenting our locally grown. The evening kicks off with a farm tour, to then be followed by a multi-course meal showcasing Windrose Farm’s tasty heirloom tomatoes, seasonal produce and other local flavors paired with fabulous wines and live music. This event sold out last year, so get your tickets early! Heirloom Tomato Festival @ Windrose Farm. 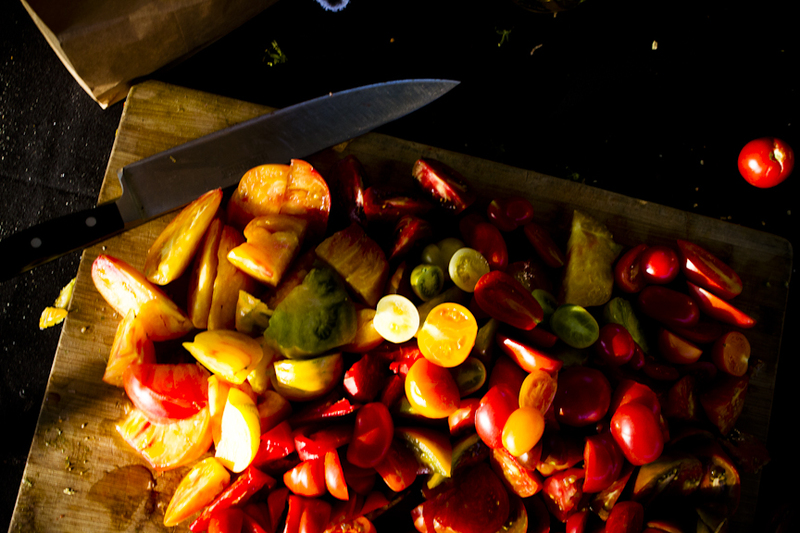 Come for the traditional Heirloom Tomato Tasting of over 40 varieties, stay for the local chefs and purveyors that will be preparing bites of their favorite recipes using Windrose Farm’s tomatoes and tasty produce. The Farm Stand will be open & selling much of the flavorful fare you will be grazing on throughout the afternoon. Price for BOTH the supper on Saturday and the tasting on Sunday is $120. Want to make a weekend of it? Come camp at the Farm under the stars in the apple orchard! Reservations for camping can be made at CAMPING at Windrose Farm.